Are there some thought leaders in your industry you'd like to connect with on social media? They're getting easier to find, according to a new study from Dun & Bradstreet Credibility Corp. that lists the 68 most influential small-business voices on Twitter. The top 10: Chris Brogan, Gary Vaynerchuk, Scott Stratten, Brian Clark, John Jantsch, Darren Rowse, Liz Strauss, Mari Smith, Lisa Barone, and Jonathan Fields. In your industry, there may be other names that you'd love to claim as your virtual friend. In my experience, many of the social-media superstars are surprisingly accessible. As it happens, I've hung out with three of the people listed above and Brogan recently interviewed me for his Kitchen Table Companies small-business community. Attend live events. 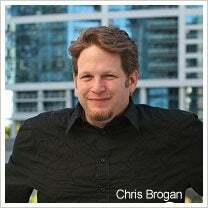 I met Brogan, Fields, and Strauss all at SOBCon Chicago earlier this year. Brogan kills at karaoke, and Strauss can have a room riveted without saying a word. When you meet people in person, you learn a lot more about them and you're able to form connections you'll never make tweeting. Join their community. Many of these leaders have monthly membership sites you could join, such as Rowse's Internet-marketing learning community, Third Tribe. Hang out, learn from them, and see where you might have something to offer. See how you can help. Sometimes, busy people could use help -- maybe someone to moderate their community a bit, or serve on the welcome-wagon. It can be a way to get better acquainted. Many also have live events where you might find yourself talking directly to your favorite guru. Retweet & rave about their stuff. Never hurts. You might get a 'thank you' and strike up a conversation. Comment on their blogs. And not just "Wow, great post!" but something insightful and well-written that adds to the dialogue. I know one well-known name who is now a thought leader in his own right who got his start this way. Mention them on your blog...and let them know. As in "@lizstrauss is mentioned in (LINK)." I've had some top folks come on my writing blog and leave a comment, and then retweet my post this way. Tweet when they come to town. Kitchen Table partner Joe Sorge got involved in Brogan's new online business after noticing Brogan tweeting he was in Sorge's town. He tweeted Brogan an invite to visit one his restaurants. As it turned out, Brogan was right nearby, came on over, and they hit it off. Target them with a relevant link. Once you feel you have some visibility with your expert, write a blog post you know their audience would love. Post it on your blog. Then target it to them, as in "@problogger -- your readers might like (LINK)." They might just send it out to their large crowd of followers, and send a slew of new prospective customers to your site. Whatever you do, don't immediately direct-message a major Twitter star asking them to do something for you the moment you first decide to follow them. That's a great way to get yourself blocked off their tweetstream. How do you connect with influential people in social media? Leave a comment and tell us your strategy.